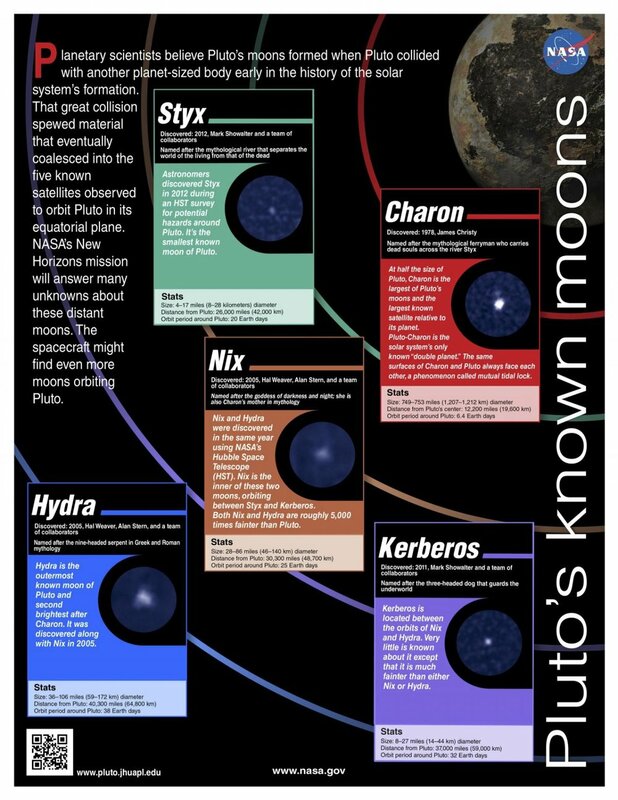 The New Horizons mission team has released some very cool infographics that illustrate the amazing journey to Pluto and the science we will do at this new frontier. In light of such a monumental discovery, we might very well skip the next logical step of a robotic Pluto lander, and instead mount a manned mission. I’ll put aside questions of cost for now, and assume that for the sake of this speculation, a manned Pluto mission - like the Apollo program - is just something that we were going to do, no matter what. Is a manned Pluto mission within our near-term technological grasp, at any cost? The most advanced propulsion systems we have today require 10 - 15 years to deliver a 1.6 kilogram spacecraft into Pluto orbit. The international space station, though lacking significant propulsion, has been continuously orbiting the Earth, manned, for 14 years, since 31 October 2000. 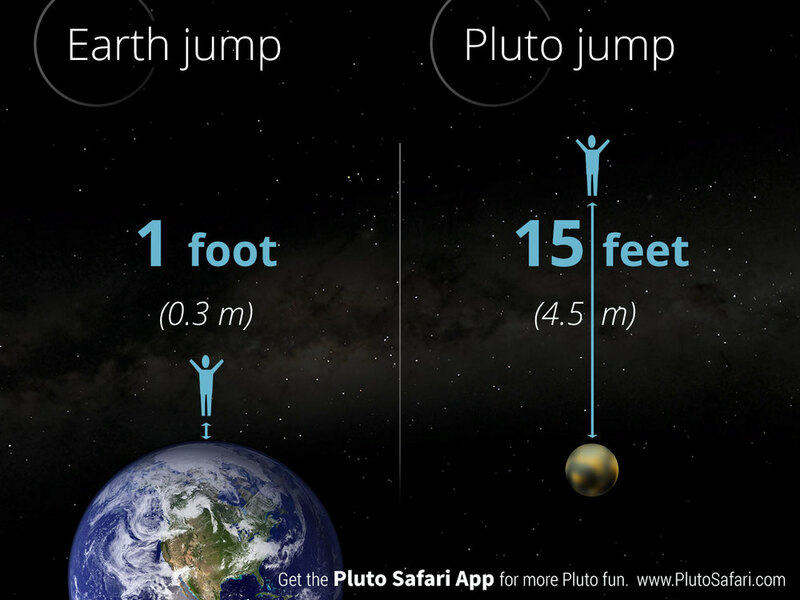 There is, of course, an enormous difference between the ISS and a manned Pluto spacecraft. The ISS has been resupplied and occupied by rotating crews from Earth’s surface several times per year for the past 14 years. The Pluto astronauts would be utterly isolated; their life support systems would have to be completely self-contained. The longest period one human being has ever spent in space is 437 days. And no small, closed, self-contained biosphere capable of supporting human life has survived more than two years. Tracy Caldwell Dyson aboard the International Space Station (ISS). What if we put our Pluto-bound astronauts into hibernation? Aside from the possibility of the mission control computer becoming homicidal during wakeup phase, there’s another objection: we don’t currently know how to hibernate human beings for more than a decade and have them come back alive. For that reason, I’m forced to relegate hibernation scenarios to science fiction, and rely on technologies which are known at the present time. Is there any known spacecraft propulsion technology capable of delivering a multi-hundred-ton manned mission to Pluto within a year? It turns out that the answer is yes, and that the technology has been with us since the 1950s. Science fiction buffs reading this piece will probably have guessed that the answer is Project Orion. For everyone else, the Wikipedia article on that topic gives a good overview. Briefly, the concept is to propel the spacecraft by exploding thousands of small nuclear bombs behind it. Each detonation drives a “pusher plate” attached to the spacecraft by an enormous set of shock absorbers. The exhaust velocities are tens to hundreds of kilometers per second, but with millions of tons of thrust. An artist's conception of the NASA reference design for the Project Orion spacecraft powered by nuclear propulsion. The original Project Orion physicists worked out the essentials in the early 1960s. NASA revisited the concept again in 2000, this time under the name “External Pulsed Plasma Propulsion”. The smallest Orion nuclear spacecraft have a mass of about 900 tons. The original team developed an “advanced interplanetary” configuration capable of delivering a 10,000-ton spacecraft to Saturn and back again in three years. While such a spacecraft could be launched directly from the Earth’s surface, nuclear fallout concerns would make this course of action untenable. Instead, it would have to be constructed in Earth orbit - like the ISS - and depart for Pluto from there. Landing any spacecraft - let alone a manned spacecraft - on Pluto would present some unique challenges. 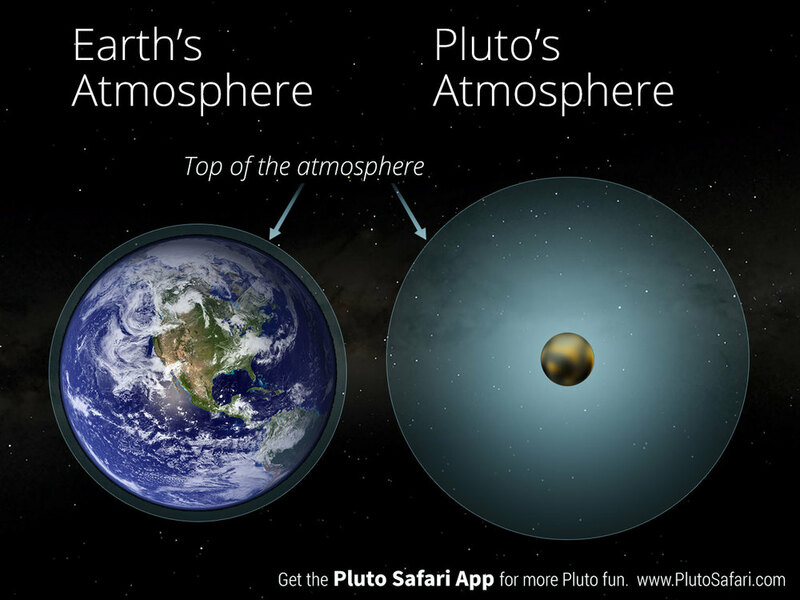 Unlike the Moon, Pluto has a very thin atmosphere of nitrogen, methane, and carbon monoxide. Its surface pressure is varies from 6.5 to 24 micro bars - about as thick as Earth’s atmosphere 50 miles up, or about 1/1000th the density of Mars’s atmosphere at its surface. This is probably just enough to require some kind of heat shield, but not enough to provide any useful aerobraking capability (like a parachute). Elon Musk’s Dragon V2 capsule combines a heat shield with propulsive landing rockets, and is probably a step in the right direction. The Dragon V2 stores enough fuel for 300 meters/second delta-V, so extra fuel tanks would be needed to land, take off, and rendezvous with the orbiting mothership. But the technology seems feasible. The SpaceX Dragon V2, during a test of its abort system. There might be other hazards. The Moon’s surface is mostly made of silicate rock. Pluto, on the other hand, is covered with ice - not just water ice, but frozen methane, carbon monoxide, and nitrogen. On contact with hot rocket exhaust at several thousand degrees, there’s a real danger that the landing site might vaporize. Some care would have to be taken to land our first Pluto explorers on a stable, rocky outcropping. Imagine you’re one of those first human Pluto explorers, stepping out of your lander. Pluto’s moon Charon would hang motionless in your sky. The two are tidally locked, always presenting the same face to each other as they orbit over a 6.37 day period. 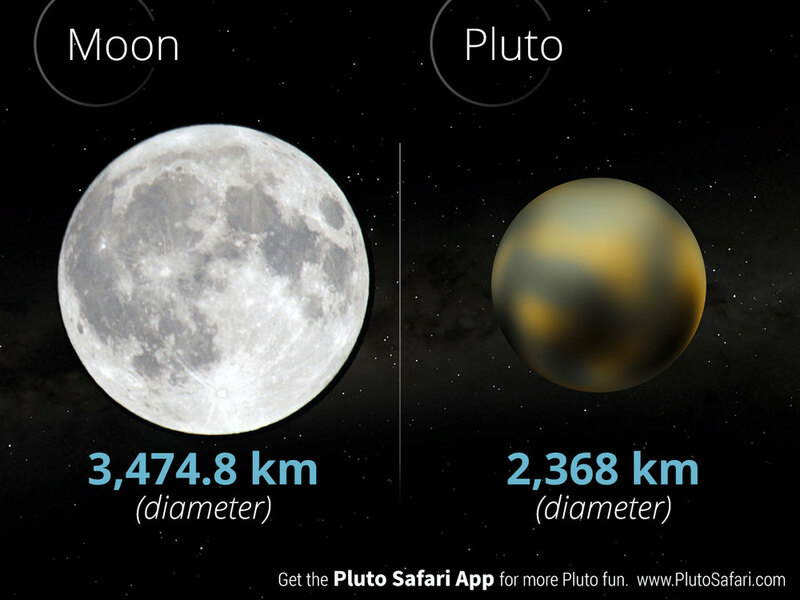 But at only 19,600 kilometers away - closer than our geosynchronous satellites - Charon would appear nine times larger in Pluto’s sky than the full Moon appears from Earth. Pluto’s other four moons Nix, Hydra, Kerberos, and Styx would be visible as slowly-moving stars, gradually rising and setting, while Charon remained fixed in the heavens. Charon as seen from the surface of Pluto. The Sun would be the brightest object in the sky, but would look nothing like it does in ours. 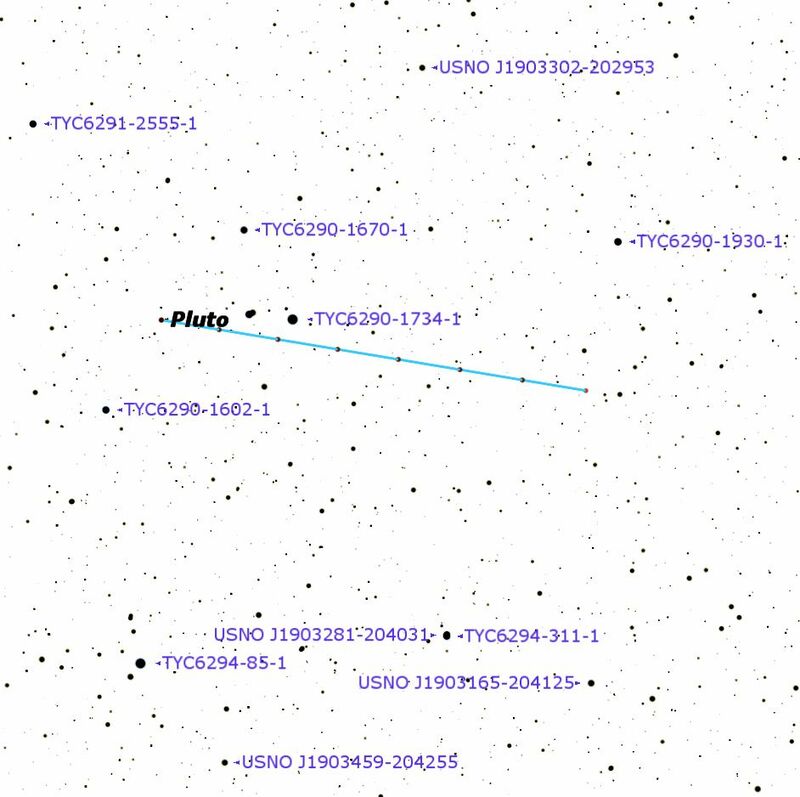 Pluto’s Sun is only an arc minute across, and would appear starlike. But what a star! At magnitude -19, it would appear 650 times brighter than our full Moon, will all that brightness packed into an icy, diamond-like point. Jupiter would be the brightest planet in your sky, around magnitude 2.5, somewhat fainter than the stars in the Big Dipper. Saturn would vary in and out of naked-eye visibility, from about magnitude 4.5 to 8.5. And if you looked carefully, appearing about three full-Moon diameters away from the starlike burning Sun, you might notice another, much fainter, bluish “star”. That pale blue dot would be the Earth: at magnitude 3.7, still visible to your unaided eye, but difficult to pick out from the Sun’s glare. That’s home. You’ve come a long way to this cold, lonely outpost at the edge of the Solar System. And unlike New Horizons, you’re coming back. Science fiction? Possibly. But let’s not forget that Pluto was discovered only 85 years ago. Today, a spacecraft carrying the ashes of its discoverer is speeding toward that planet: a fact unimaginable in 1930. What will the next 85 years hold? If there’s anything you should count on, it’s not to count anything out. 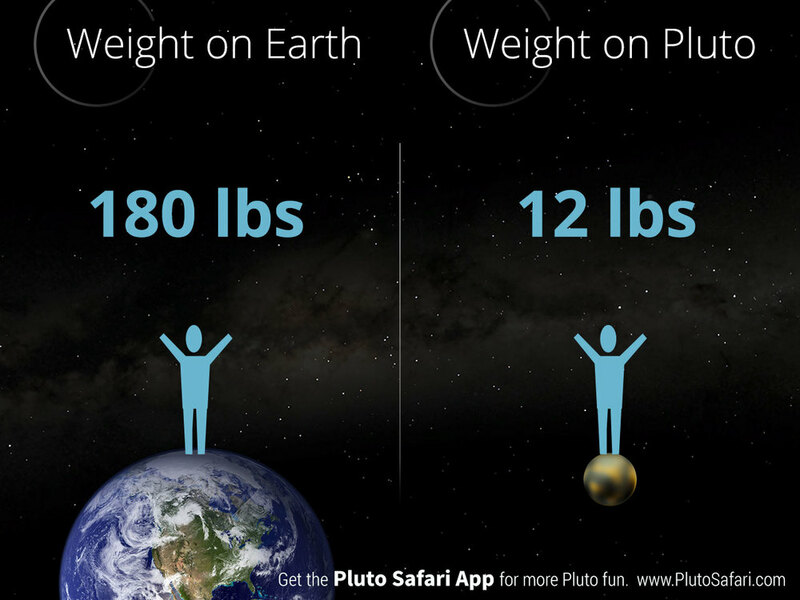 On July 14th, NASA’s New Horizons spacecraft will fly by Pluto. It’s among NASA’s most impressive achievements to date. But what might come next? New Horizons was launched on January 19, 2006, atop an Atlas V 551 rocket with a Centaur upper stage. That upper stage, and the New Horizons probe inside, had highest launch speed of any man-made object leaving Earth. New Horizons crossed the Moon’s orbit just 9 hours after launch - the Apollo astronauts took three days - and reached Jupiter in just over a year (the Voyager spacecraft took nearly three years). Launch of New Horizons. The Atlas V rocket on the launchpad (left) and lift off from Cape Canaveral. New Horizons‍ ' launch was the fastest ever to date, at 16.26 km/s. New Horizons then used Jupiter’s gravity to slingshot itself onto a hyperbolic trajectory that intersects Pluto just over eight years later. A composite image of Jupiter and Io, taken on on February 28 and March 1, 2007 respectively. Jupiter is shown in infrared, while Io is shown in true-color. By the time New Horizons reaches Pluto this July, it will be moving at nearly 14 kilometers per second relative to the planet. That’s 30% faster than the ISS orbits the Earth. 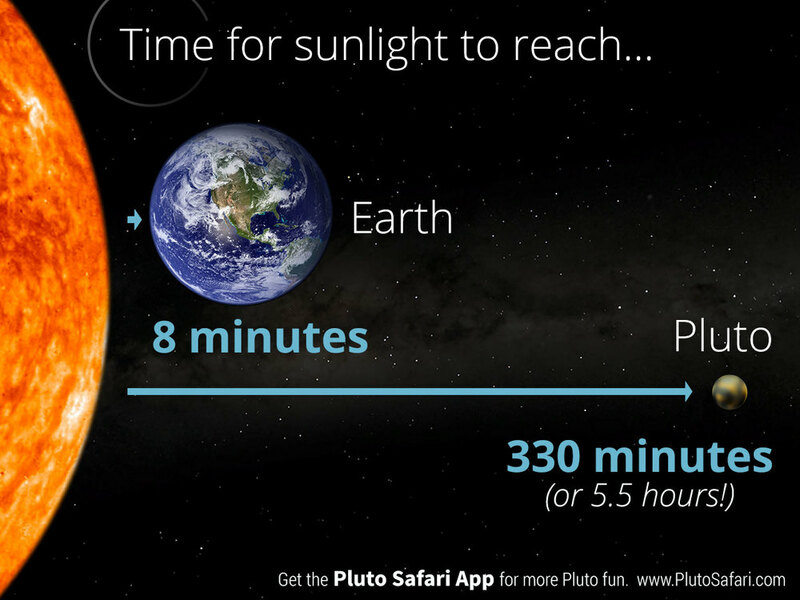 The probe will flash by Pluto in just a few hours. New Horizons can’t slow down. 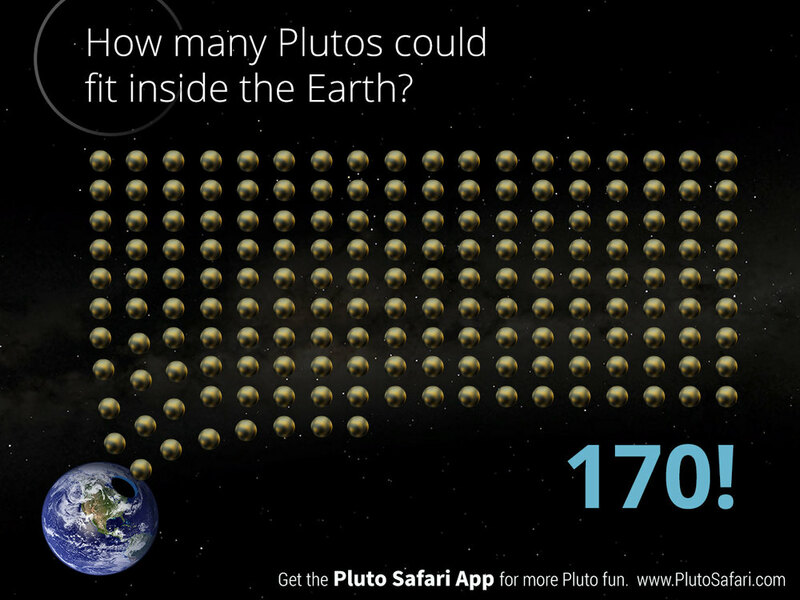 It doesn’t carry enough fuel to enter orbit around, or land on, Pluto. Nor was it designed to. Instead, New Horizons will keep flying past Pluto, into a vast outer region of our solar system called the Kuiper Belt. New Horizons may fly by a few Kuiper Belt Objects after its Pluto encounter, a few candidate KBOs are being selected now. New Horizons flyby of Pluto and Charon on July 14, 2015. 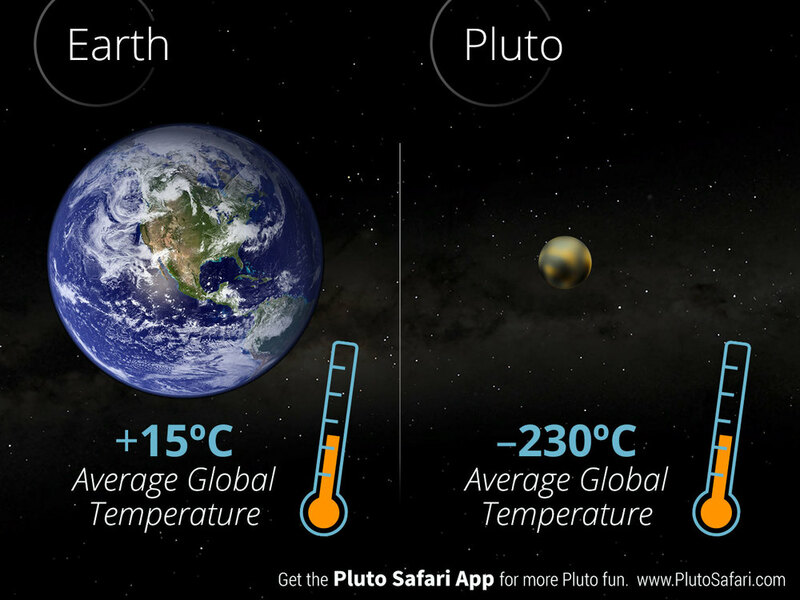 Created with Pluto Safari, a free app for iOS and Android. But what if New Horizons had been intended to stay longer at Pluto? After a flyby, the next step in planetary exploration is an orbiter to perform extended surface observations, and then a lander. Are these things even possible, within current technology? 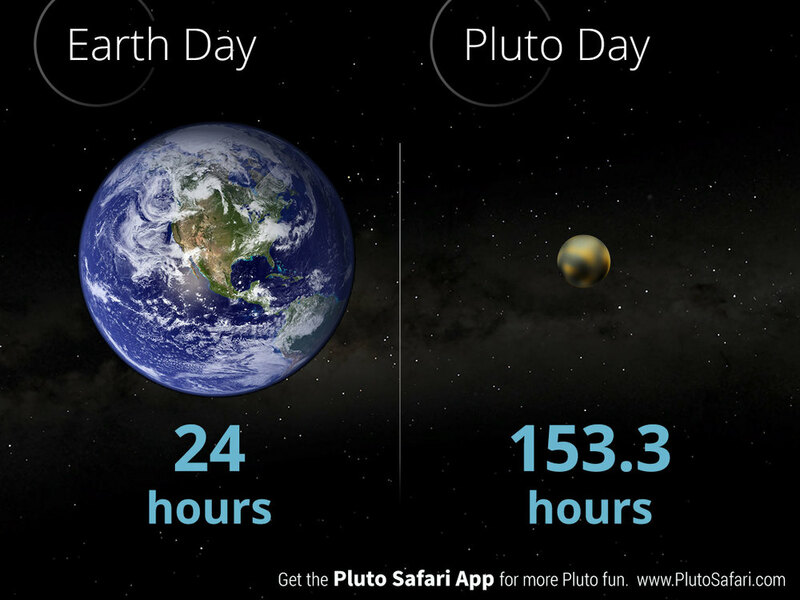 Pluto is forty times farther from the Earth, than Earth is from the Sun. Transmissions radioed back by New Horizons take four and a half hours to reach us. Is there any hope of catching anything more than a fleeting glimpse of such a distant place? Is Pluto a planet? What is a planet, anyhow? We hope you’ll agree that the IAU's current answers to these questions are unclear and confusing. Here, we propose clear and unambiguous answers to these fundamentally unclear problems. Above all, we hope you have fun with the debate, no matter what side of it your heart may lay on. As astronomers began to discover objects similar in size to Pluto, culminating with the discovery of Eris in 2005, it quickly became clear that if Pluto was a planet, so should Eris. And if Eris was a planet why not some of the other newly discovered objects. Our solar system might have dozens of planets. 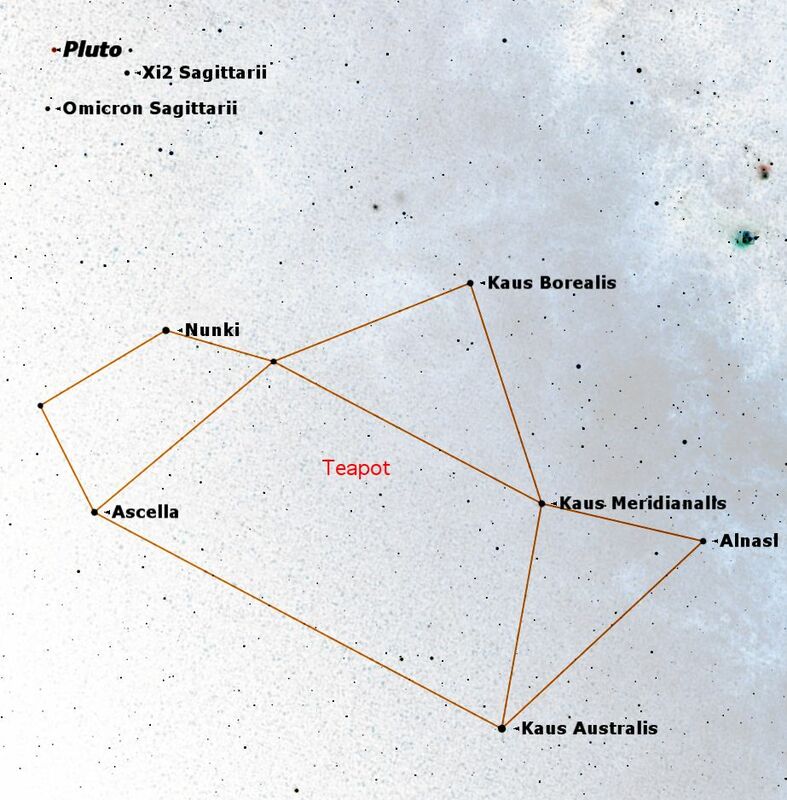 One camp felt that a line needed to be drawn somewhere, and another camp felt that the newly discovered objects should be added to the list of solar system planets. Illustration of the relative sizes, albedos, and colours of the largest trans-Neptunian objects. (1) A "planet" is a celestial body that (a) is in orbit around the Sun, (b) has sufficient mass for its self-gravity to overcome rigid body forces so that it assumes a hydrostatic equilibrium (nearly round) shape, and (c) has cleared the neighbourhood around its orbit. (d) is not a satellite. (3) All other objects, except satellites, orbiting the Sun shall be referred to collectively as "Small Solar-System Bodies". This is a poor definition that has only served to add more confusion. With resolution 2c, “has cleared the neighborhood around its orbit”, the IAU is trying to express that a planet should be the dominant gravitational force in its local region of the solar system. That's not an unreasonable position. Certainly the Earth and Jupiter are the dominant objects in their local regions. But have any of these planets actually "cleared the neighborhood" around their orbits? No. Pluto is still clearly in Neptune's "neighborhood". For that matter, Jupiter has two well-known groups of asteroids, the "Trojans", which lead and follow Jupiter along in its orbit. For that matter, the Earth hasn't quite "cleared the neighborhood" around its orbit, either, as anyone who was near Chebalyink, Russia on Feb 15th, 2013 or Tunguska, Siberia on June 30th, 1908 can attest to. So are Earth, Jupiter, and Neptune the dominant gravitational objects in their local neighborhoods? Yes. Have they "cleared their neighborhoods"? No. (1) A "planet"  is a celestial body that (a) is in orbit around the Sun, (b) has a maximum surface radius greater than 1000 kilometers. (2) All other objects orbiting the Sun shall be referred to collectively as "Small Solar-System Bodies". "But that's completely unscientific" you say. "Why 1000 kilometers? Why not 1200, or 750?" I submit to you that the precise definition of a planet as an object at least 1000 kilometers in radius is no less "scientific" than the definition of a "kilometer" as being a unit of distance equal to 1000 meters, or a "degree" being 1/360th of a circle. By the 1000-kilometer definition, all eight classical planets would remain planets. 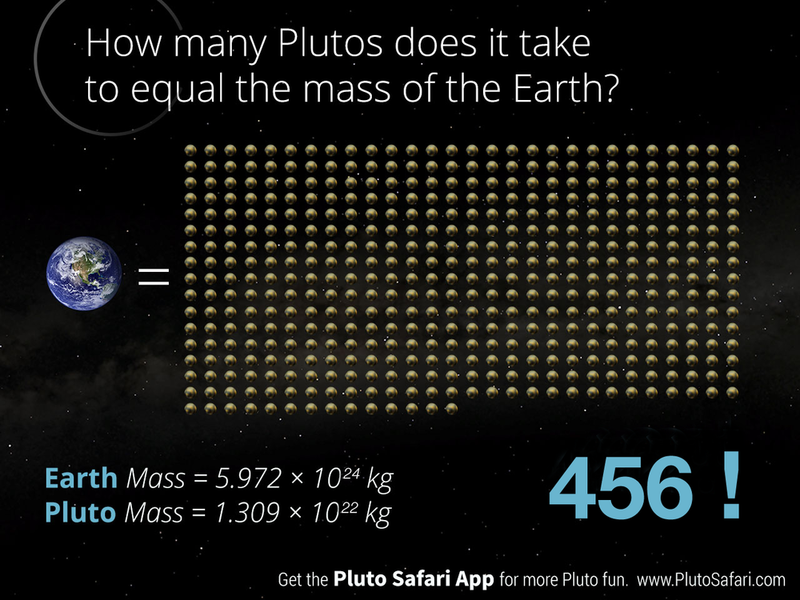 As would Pluto, and we add Eris. The solar system would have exactly ten planets. Those fond of keeping Pluto's planetary status for historical reasons would retain its dignity. And elevating Eris to a first-class planet would be an honorable nod to the cutting-edge astronomers whose work led to a need for this new definition in the first place. And as to the "cleared the neighborhood" part of the definition? This it the most unclear and least popular part o the IAU's 2006 definition. It's best dealt with by being eliminated entirely. The end game is to define the term "planet" in a manner that's simple, understandable, and satisfying. The 1000-kilometer rule does this aptly.